Home » TALK Aventura Special Spring Activities: A Summer preview! 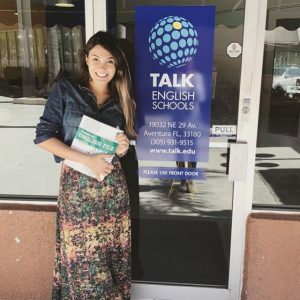 The sun, the beach and the Spring special activities are some of the attractions waiting for international students who will travel to the United States and learn English at TALK Aventura. The arrival of the season in Florida is practically a Summer preview. Florida is known as the “Sunshine State” and, due to its tropical weather, the temperature begins to rise during the Spring, reaching up to 91°F. Aventura is a city located north of Miami’s metropolitan area, minutes from the beaches of Hallandale, Golden Beach and Sunny Isles. This friendly, exciting and culturally diverse community is filled with cafes, restaurants, boutiques and shops. In Aventura, you will hear the most different accents, from different nationalities – Russian, Hispanic, Brazilian and many others, and it shows how welcoming the city is. Aventura’s Spring programming is full of must-see attractions for your free time after school. Check them out! Every second Saturday of the month, the Wynwood Art Walk brings together outdoor attractions such as street art and wonderful murals that will be perfect settings for your selfies, local DJs and music styles ranging from hip hop and EDM to pop and rock, food trucks with international cuisines, games and activities for children and markets with local artisan products. It’s the ideal event for you to get together with your classmates and get to know them better. For music fans, Spring promises to be a full plate. Great artists will perform around Aventura, such as The Rolling Stones (April 20th), Eros Ramazzotti (May 24) and Ariana Grande (June 1). Aventura is home to the third largest and second most visited US mall, the Aventura Mall, which offers more than 300 stores, from brands like Gucci, Prada and Chanel to department stores like JCPenney, Macy’s and Sears. The entertainment area includes 24 high-tech movie theaters and a food court with large supply of international cuisine restaurants and cafes. 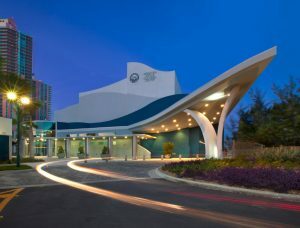 Built in 2010, the Aventura Arts and Cultural Center features theatrical plays, dance numbers, musical performances and multimedia presentations. Get ready for memorable experiences! The modern and artistic building and the terrazzo that represents the Atlantic Ocean are attractions by themselves. Haulover Park, located in the beach area, is both quiet and vibrant. It is a place where you can surf, play tennis, golf or simply relax on the sand, enjoy the crystal clear waters and have a picnic with your new friends from all over the world. The weekends are all about fun in the sun and our students’ preferred locations are beaches such as Hollywood Beach, located between Miami and Fort Lauderdale and Bimini Islands in the Bahamas, 50 miles off the coast of Florida. The city of Sarasota, located on the west coast, offers attractions such as the beaches of Lido and Siesta Key and some curious cultural attractions such as the home of the famous Ringlings’ Circus Family. Stay tuned for TALK Aventura’s calendar of activities. Dzmitry Razalyeu, Ana van Gilst and all the school staff are available to answer your questions. And there’s still time to enroll and enjoy Spring in Aventura. 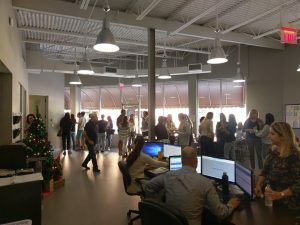 Get your free quote and join us! 📷 See more photos of TALK Aventura students having fun on our Instagram.